Contemporary Mediterranean Estate - Totally reimagined: Rich in TV history, set on lush rollings lawns with mature trees, unparalleled privacy, and quality, craftsmanship and scale that needs to be seen in person. The Iredell Estate is situated privately behind large gates on its own private knoll. Boasting 7 bedrooms and 9 bathrooms on near one acre of land with captivating panoramic canyon and mountain views. This bright villa offers a spectacular two story entry, gourmet chef's kitchen with breakfast room, dining room, screening room, wine cellar with tasting room and luxurious outdoor kitchen perfect for entertaining. Exquisitely designed master suite features a large private patio, dual walk-in closets, spa-like bath and private direct access to saltwater pool and jacuzzi. 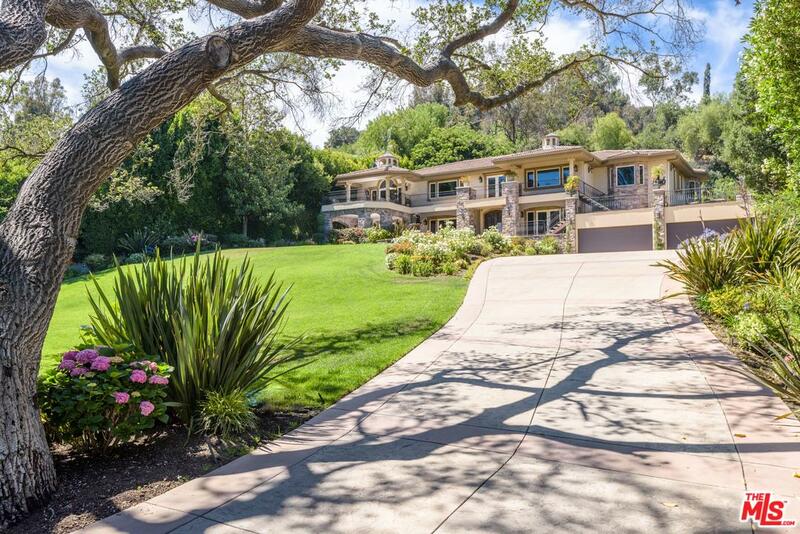 Truly a trophy property in the prestigious and exclusive celebrity filled Fryman Canyon and at an unbeatable value. Based on information from CARETS as of 04/18/2019 10:16 pm. The information being provided by CARETS is for the visitor's personal, noncommercial use and may not be used for any purpose other than to identify prospective properties visitor may be interested in purchasing. The data contained herein is copyrighted by CLAW, CRISNet MLS, i-Tech MLS, PSRMLS and/or VCRDS and is protected by all applicable copyright laws. Any dissemination of this information is in violation of copyright laws and is strictly prohibited.